Cerkl gives you the option to send a welcome email to every new subscriber so they can personalize their interests and delivery preferences. What if you have a piece of content that you would like sent to each new subscriber in their first newsletter? You can do this by combining a couple of Cerkl's features. 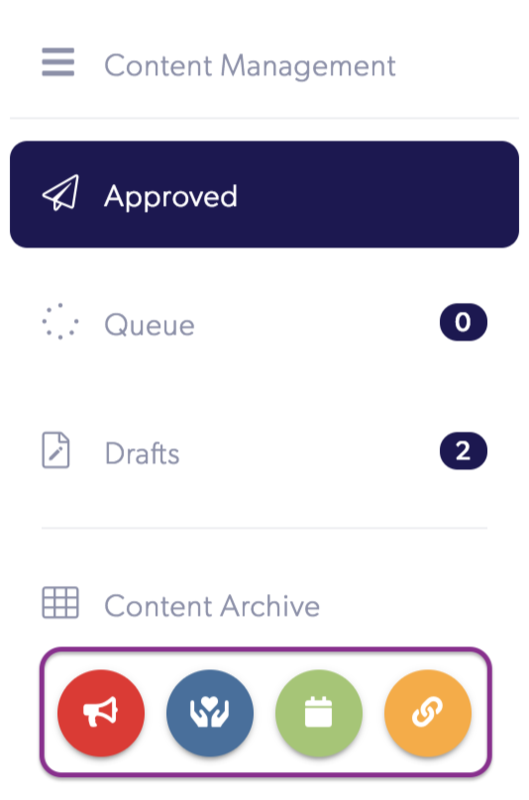 When you add the piece of content (Content Manager > colored buttons on the left side of the screen), it will give you a list of customization options. 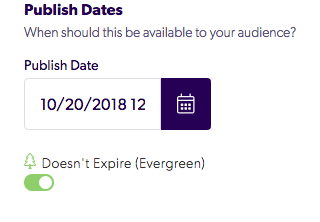 Under Publish Dates you will see the option Doesn't Expire (Evergreen). This is content that will remain relevant to your subscribers forever. Flip the switch to green so every new subscriber can see that story in their first newsletter. To get to Posting Priority click the yellow settings gear in the top right hand corner of the screen. This will prompt a sidebar to pop up that will allow you to choose the priority of this piece of content. 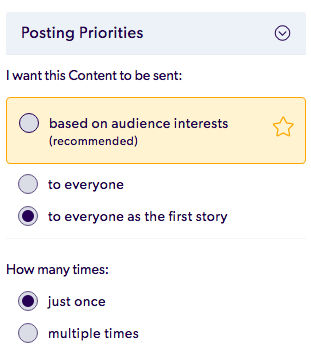 By selecting the option "to everyone as the first story" you ensure that every new subscriber will see this piece of content, and it will appear as the first story they see. You will also be prompted to select whether you want this content to appear in multiple newsletters as the top story or just one. In this case, you will select the "just once" option to have the story sent in only the first newsletter.